The beauty of living in a place like Maui isn’t only the lush green forests or the rugged coastlines, but it’s the variety of waves that you enjoy as a surfer. Anything from pumping points like Honolua, to beachbreak-esque barrels, to the massive and mutant Pe’ahi can come alive on any given day. And Valley Isle native Albee Layer has made it a point to excel in every condition that his home island throws at him. But with that kind of variance comes the need for the right tools. Introduce yourself to Albee’s Maui quiver that could suit anything from three foot to thirty. DIMENSIONS: 8'8" X 20 3/4" X 3 1/2"
Where do you surf this board? Jaws, or any other wave over 12 feet. What makes this board work well? It has the paddle power to get into big waves, but is small enough to fit in the pocket of really steep sections. And it maneuvers like a much smaller board. Any other reasons you picked this board? 'Cause I've probably had eight of my top 10 waves on this board, and I don't think it's caught its best wave yet. DIMENSIONS: 5'10" X 19 5/8" X 2 7/16"
Where would you surf this board? 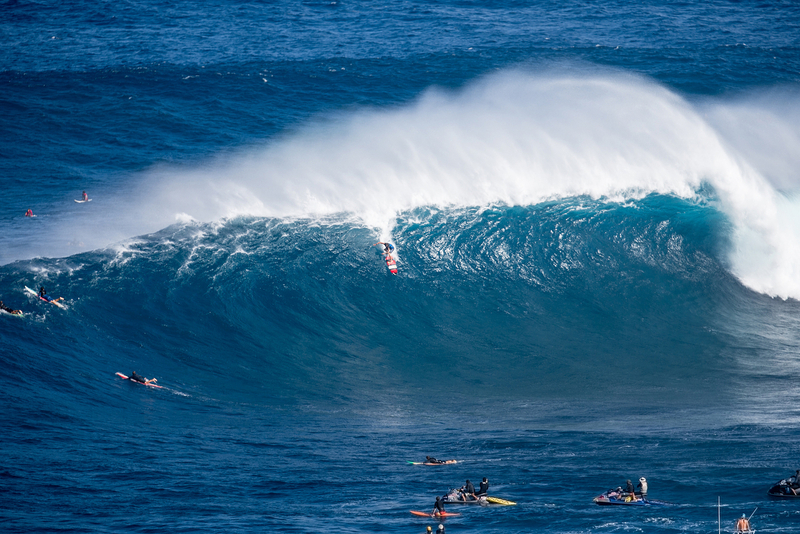 I would literally ride this board anywhere from just barely big enough to paddle out to close to 10-foot Hawaiian. From everyday Hookipa to good size Honolua. I think people constantly ride too big of boards in moderate size surf and riding something like this can be really fun when it gets little bigger. What characteristics make this a good day-to-day board? It's quick in small waves but can hold a rail in the bigger stuff. Plus, the HyperFlex tech makes it pretty hard to break. Any other reasons you picked this board? I ride it almost every day. DIMENSIONS: 8'0" X 20ISH" X 3ISH"
Where do you surf this board? Wherever it's too small to do anything exciting. What characteristics make this a good board when it's small? It's just fun to mess around, run your friends over, do board transfers and even ride the nose. It's also been fun taking my friend's 3-year-old out on it. Any other reasons you picked this board? It's the most affordable board out there and there's always someone you know who wants to learn how to surf.